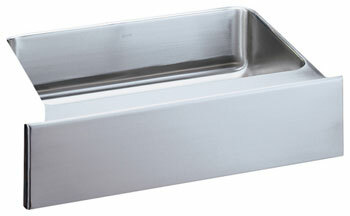 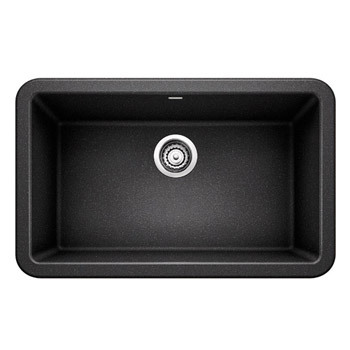 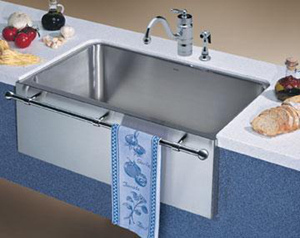 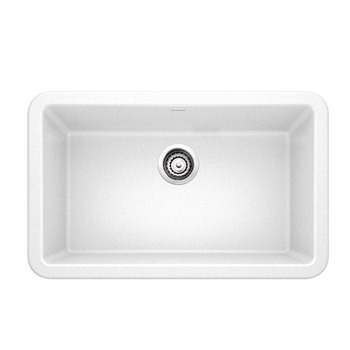 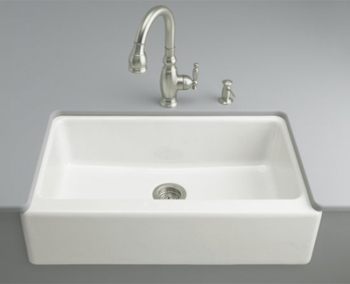 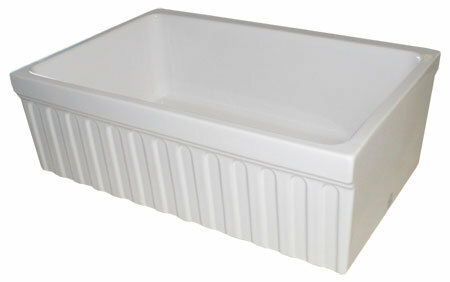 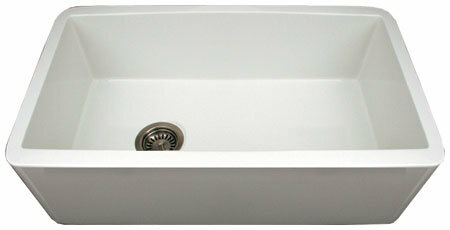 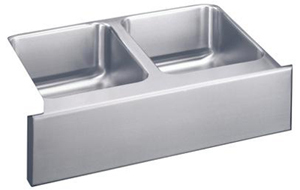 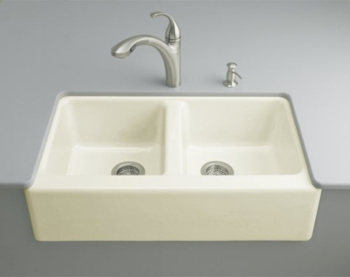 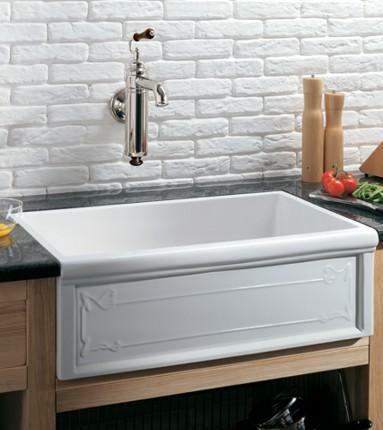 One of the hottest kitchen sinks today is the "farmhouse sink," sometimes also called an "apron sink." 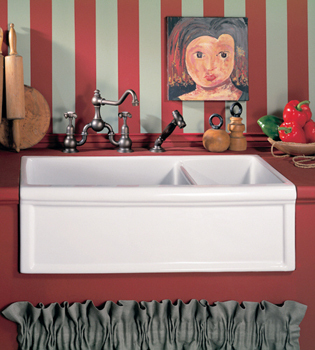 Farmhouse sinks are so-named because they mimic the rectangular, extra deep look and exposed front common in many vintage, rural homes. 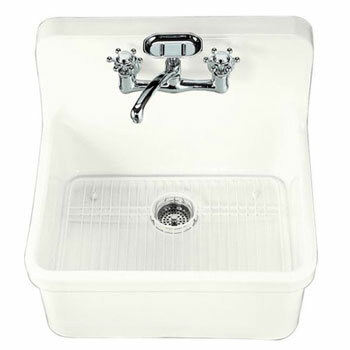 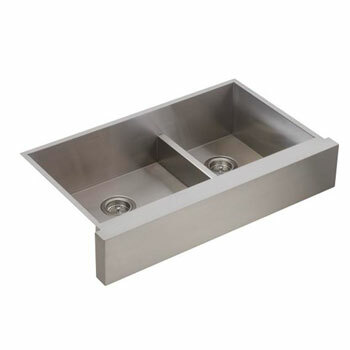 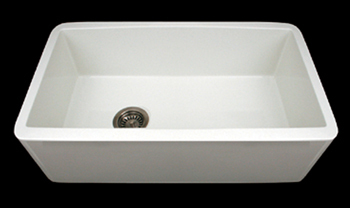 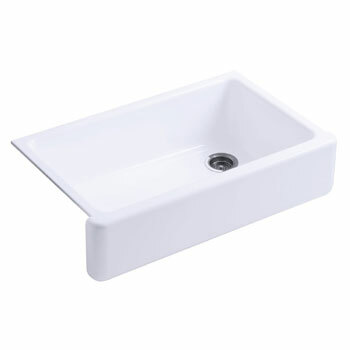 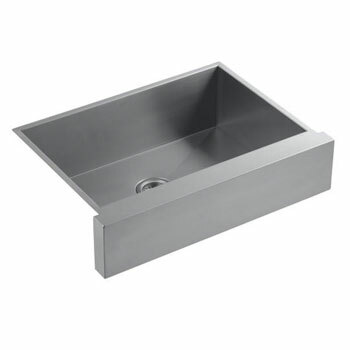 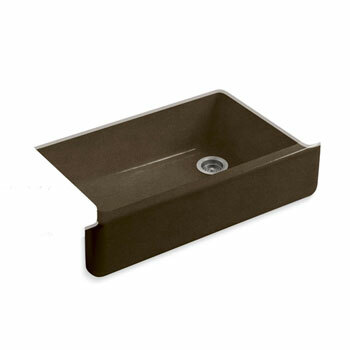 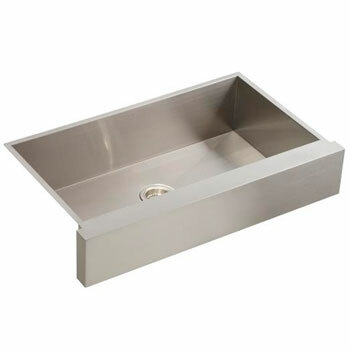 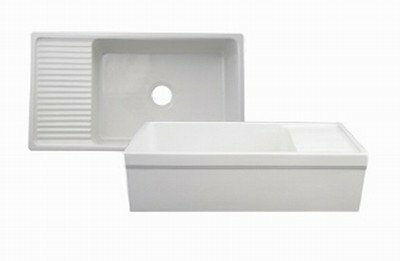 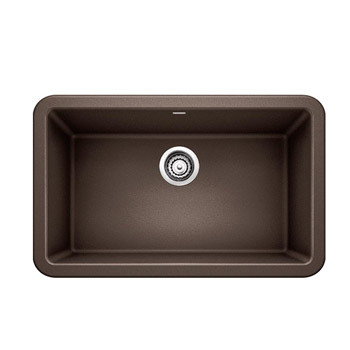 They can sit atop the counter or be mounted, and because these basin-style sinks generally lack a "deck" running around the outside, faucets and other hardware are installed directly into the countertop, behind or to the side of the basin. 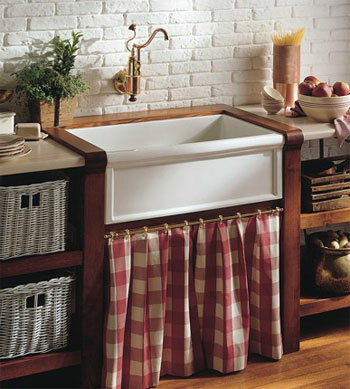 View the entire collection of Farmhouse Kitchen Sinks at Faucet Depot.